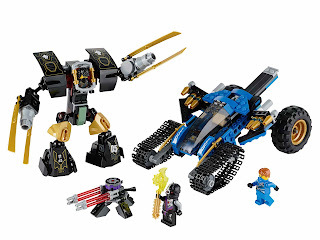 come with a thunder raider and an earth mech. 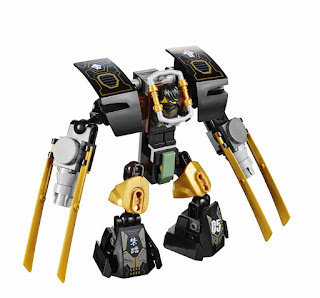 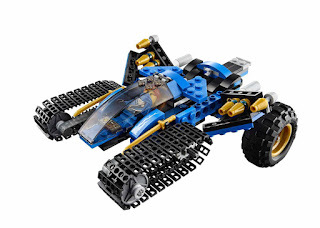 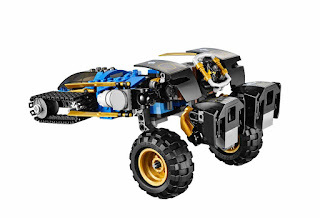 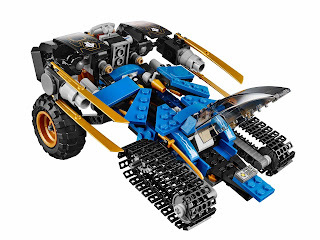 the raider has a cockpit, hidden missiles, front tank treads, big rear off road wheels, earth mech attachment and gold ninja swords. 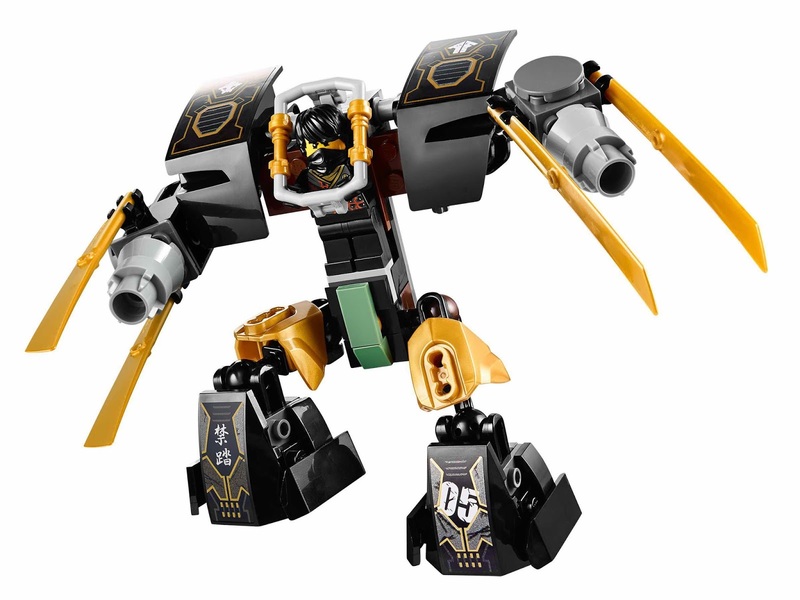 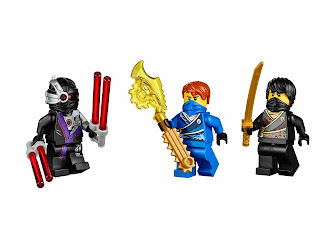 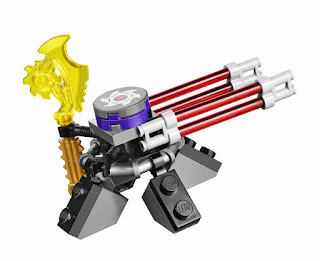 weapons included jay's transparent yellow techno blade and nindroid's double laser cannon. 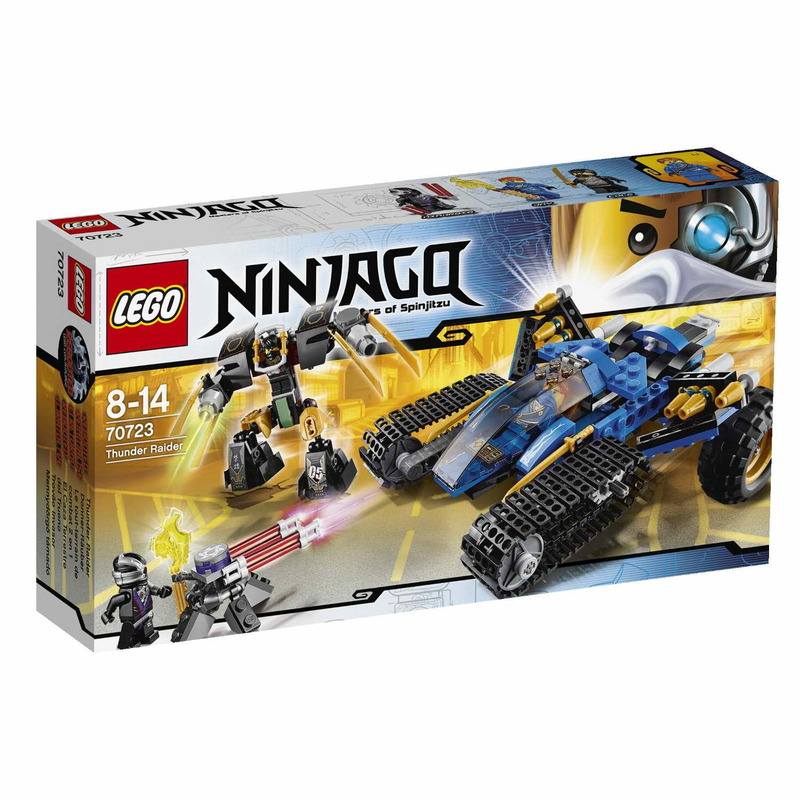 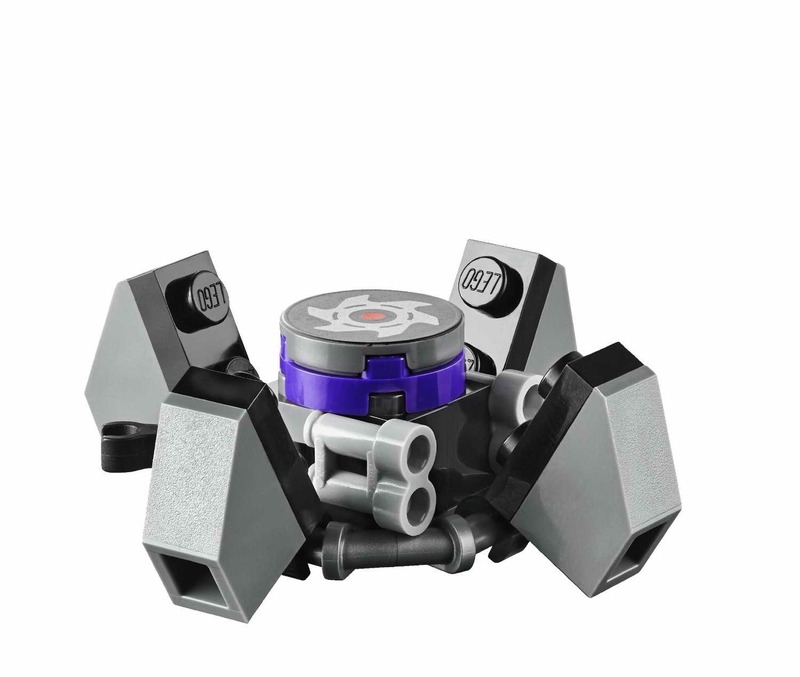 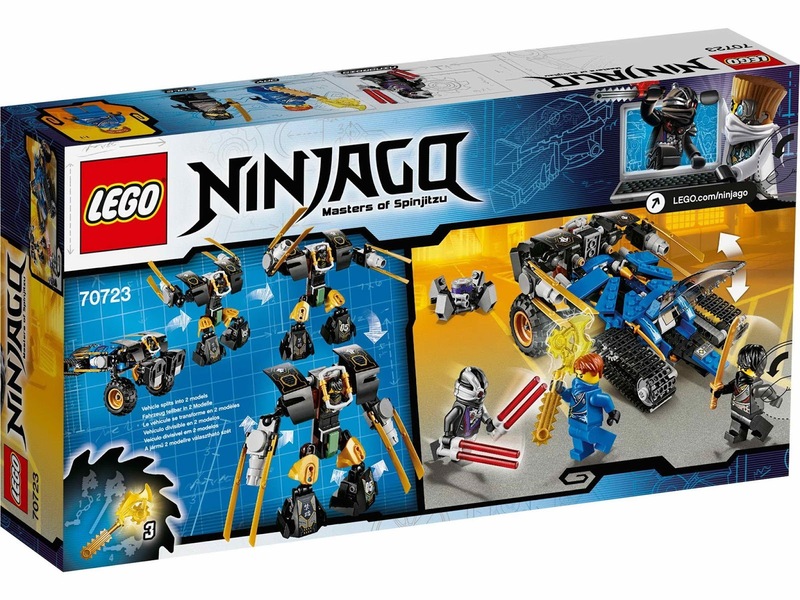 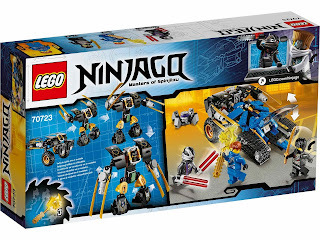 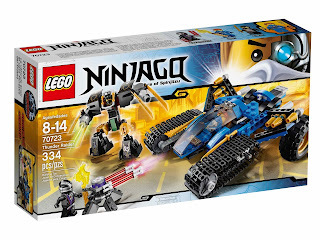 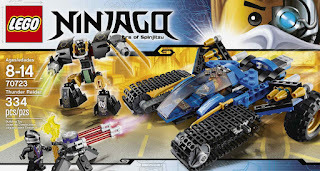 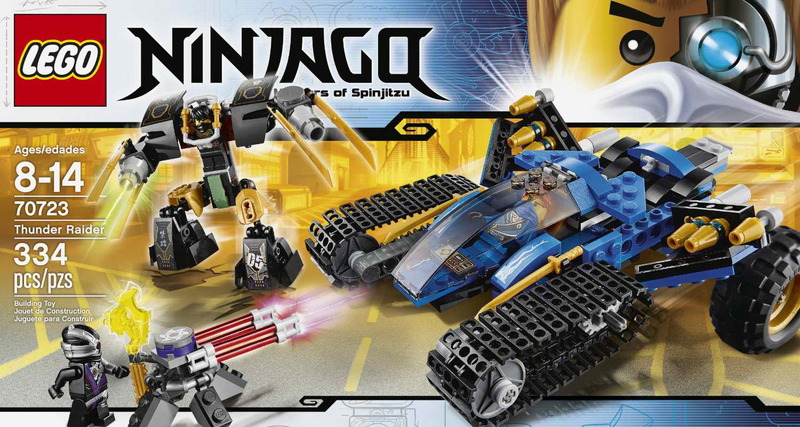 minifigs included a cole minifig, a jay minifig and a nindroid minifig.